The Handbooks are important resources for parents and students that outline school procedures and daily operations. Please read before starting school. Please not that the 2018-2019 handbooks and Grade level guides will be updated at the beginning of August 2018. The Elementary School Grade Level Guides offer detailed information about the Primary Years Programme (PYP). The grade-specific Programme of Inquiry is a summary of what the student's will explore at school through six transdisciplinary themes. Subject specific skills and learning outcomes are also described. The Middle Years Programme (MYP) curriculum handbooks cover grades 6 to grade 10. The MYP subject groups, course description and assessment criteria are explained in the following handbook. 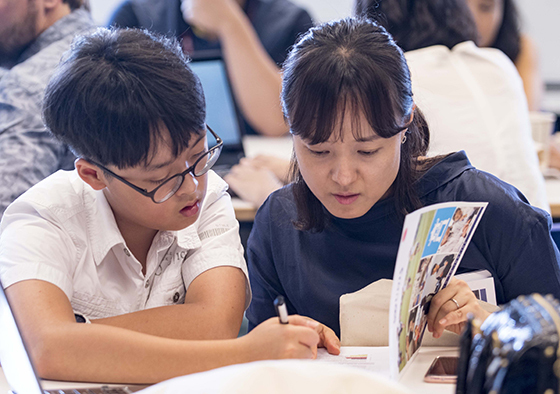 The International Baccalaureate Diploma Programme (IBDP) handbook outlines core requirements of the IBDP, subject groups offered at UNIS Hanoi and assessment components.